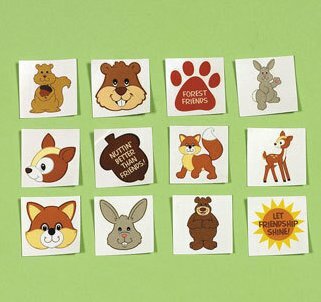 12 pack of Children's Forest Friends Tattoos. A selection of fun and cute forest characters which carry the message of friendship. These tattoos are bound to be a hit with children. Easy to apply and remove.